Enjoy this phenomenal simulation game that’ll have you coming back for more every single day. Breed different types of fish together to discover new species and types. Sell your fish in the store for profit and use the earned money to upgrade your aquarium even further. The original Fish Tycoon came out back over a decade ago and, even so many years later, it’s still regarded as one of the absolute best games of its kind. The first Fish Tycoon game was nothing short of exceptional and it was definitely ahead of its time because it had a ton of innovative features to offer. Its successor, Fish Tycoon 2, might have come out a tad bit late because it’s been quite some time since the first but, fortunately, the late release is more than made up for by the fact that the successor has been pulled off with perfection. This game not only lives up to expectations but, in fact, it ends up surpassing most of them so you’re sure to have a delightful experience if you choose to try it out. To make sure that players understand all the basics of the gameplay, Fish Tycoon 2 start off with a tutorial sequence that does an excellent job of teaching players how the game works. The tutorial is short, easy to follow, informative and rewarding so, by the time you finish it, you’ll have a fair bit of currency under your belt and will also have a firm grasp of how the game works. The gameplay of Fish Tycoon 2 feels like a much more refined and polished version of the gameplay that the original offered. The first Fish Tycoon was no doubt a treat to play but it was held back a slight bit by some minor issues but, fortunately, it seems like most of the issues have been patched out in Fish Tycoon 2. 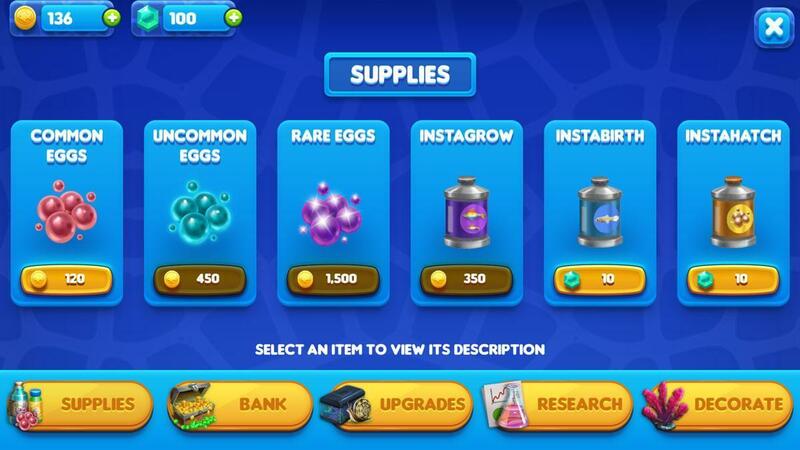 You’ll get to hatch eggs, breed fish, sell the fish for profit, purchase aquarium upgrades and keep expanding your business as the game goes on. As you progress further and further into the game, you’ll be able to have rarer species of fish thrive in your aquariums and will eventually be able to reach the goal of discovering all the magic fish species. The best part about Fish Tycoon 2 is the fact that, even after you’ve completed the endgame objective, you’ll still want to play the game every single day simply because it’s insanely relaxing. It’s an absolute delight to hatch eggs in the aquarium and watch the little baby fish grow into full-fledged adults and, alongside this, the incredible background soundtrack adds a lot to the experience as well. 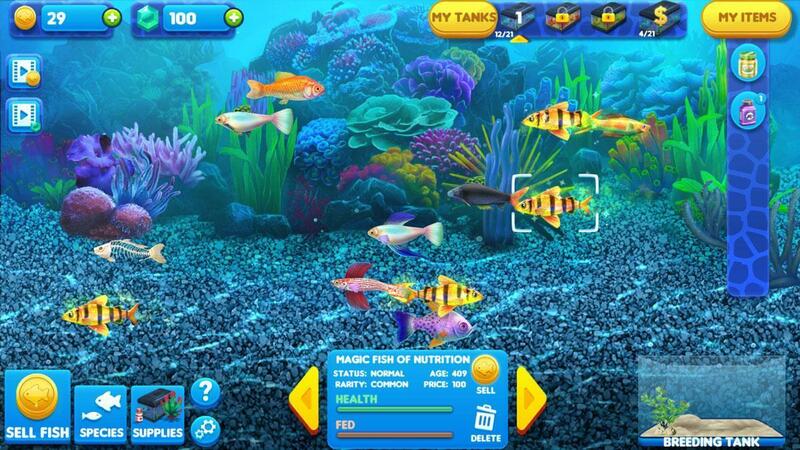 On top of the engrossing gameplay, Fish Tycoon 2 offers spectacular visuals as well. All the fish look highly realistic, the animations are incredible, the colors are vibrant, aquariums have a lot of detail in them and they can even be customized with various decorations that can be purchased from the shop. 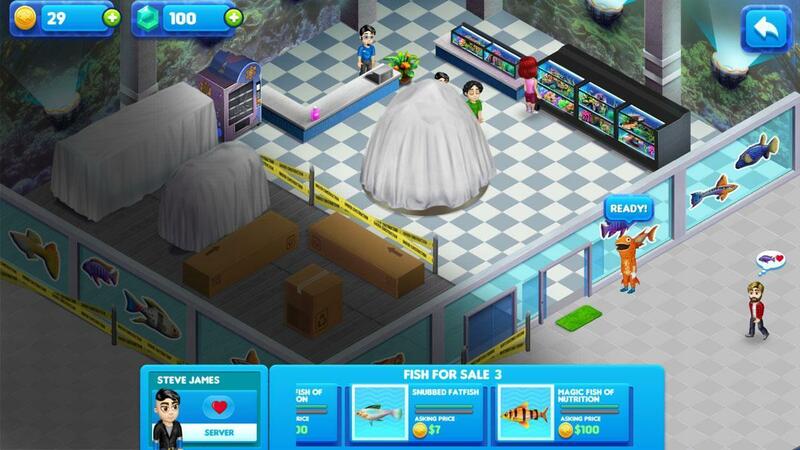 Fish Tycoon 2 is free to play but, like any other modern day mobile game, it has micro-transactions that allow players to acquire in-game currency in exchange for real world money. All said and done, Fish Tycoon 2 is a game that definitely lives up to the legacy of its predecessor.